← Win a ReSound Scholarship at AudiologyNOW! 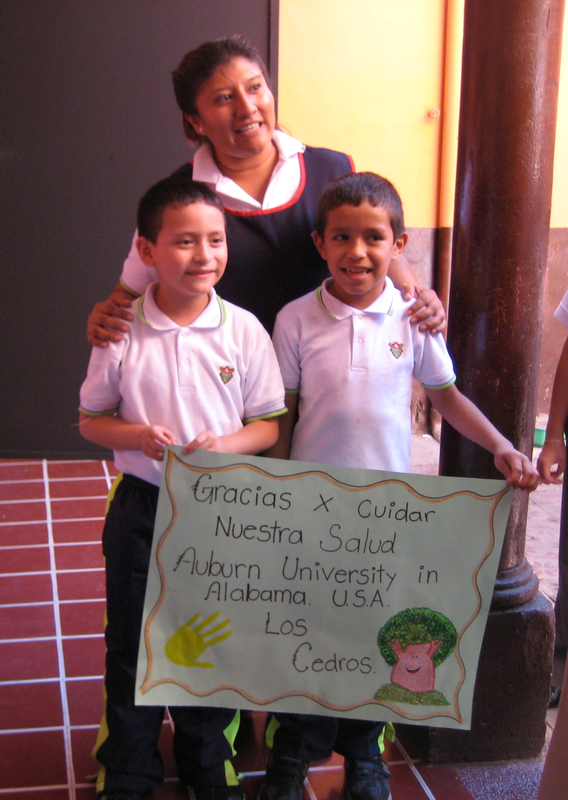 ReSound has partnered with Auburn University to donate hearing aids to hearing impaired children in Guatemala City. The Audiology Outreach in Guatemala Program by Auburn University was created to serve impoverished children identified by the Municipality of Guatemala City as being at risk for becoming “children of the street”. The program was founded by Sandra Clark-Lewis Au.D. at Auburn University. She describes the program and her experiences in Guatemala below. During our initial visit to Guatemala, school personnel, in partnership with faculty and doctoral students from Auburn University, developed a hearing screening program. Over the past four years this program has been successfully implemented by Guatemala school personnel using a portable audiometer that was obtained through the funding of an equipment grant. During three annual visits to Guatemala, Auburn University Audiology faculty and doctoral students provided follow up audiological evaluations to all children failing the hearing screenings. Before going to Guatemala on our first trip in 2009 I contacted ReSound, and they agreed to provide hearing aids to all the children we identified with educationally significant hearing loss. Through the generosity of the ReSound Corporation, we could actually do some good in Guatemala and not merely identify needs. When we were in Guatemala in May 2010 (our second visit), we were asked to provide hearing aids for 10 very young children (3-4 years old) who were profoundly deaf. These children had never had hearing aids. At that time I made a video of several children in the School for the Deaf dancing and the dancers included the children who had never been amplified. It is easy to identify the children without hearing aids and dramatic to see these deaf unaided children “trying” to dance without being able to hear the music. Once again responding to our requests, ReSound agreed to provide Sparx instruments to these children, and one of the ReSound trainers traveled to Guatemala with me in November 2010 to deliver the hearing aids. The Audiology Outreach in Guatemala Program at Auburn University strives for every student to have the opportunity to embrace global engagement. We’ve been working with the Municipality of Guatemala City for the last 4 years. This entry was posted in Charity, Company News and tagged Auburn University, deaf children, Guatemala, hearing aids, mission trip. Bookmark the permalink.